TET (Red Velvet Elvis x Celestial Empire) Ev. EM Re. 6 1/2" flowers, 30" scapes, 4 way branching with 28 buds. 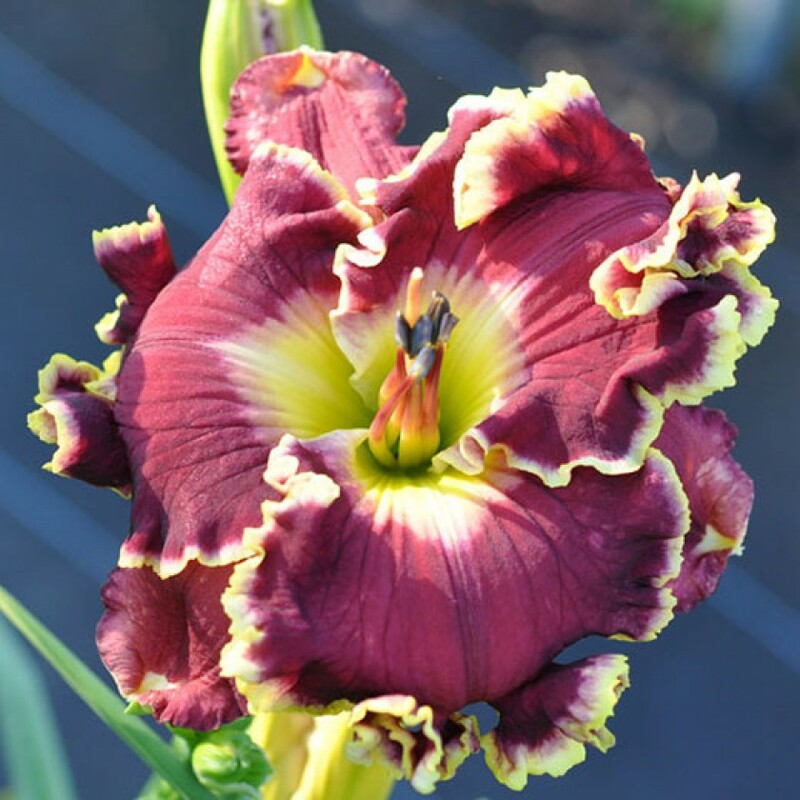 JUST A WISH is such a great daylily! It has very complex edging but always opens flawlessly every day! Consisting of a red purple waxy self with a white halo over a large triangular green throat. A limited knockout. Fertile both ways.